Big Savings – Why buy new and pay premium price for a hyperbaric chamber when you can buy a used hyperbaric chamber from us and save thousands of dollars? Now you don’t have to buy new and for good reason Atlanta Hyperbaric Center is the only company that reconditions and sells used hyperbaric chambers. All or our used hyperbaric chambers go through a 21 point inspection before we give it our seal of approval and possible warranty. Yes, all of our used hyperbaric chambers come with a in house warranty, so you do have to worry about being the quality. Call Dr. Louis Hilliard and let him help you choose a used hyperbaric chambers that is right for you. Atlanta Hyperbaric Center sells all makes and models of used hyperbaric chambers. Why Used Hyperbaric Oxygen Chambers for sale? We have brand names like Newtowne Hyperbarics: Flexi Lite, Class 7 and Seal series, Summit To Sea: Shallow Dive, Dive, Grand Dives Series and more. If you can’t find it contact us and we can find it for you because we work with vendors around the country and can get you the chamber you need at a reasonable price. Our chambers are hand inspected and tested before we put them on the market. Depending on the chamber, our used hyperbaric oxygen chambers may come with a guarantee. 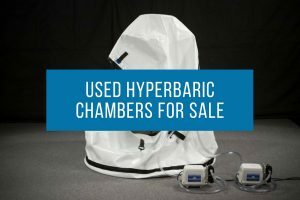 Atlanta Hyperbaric Center acts as a mediator for people wanting to sell their chamber and give them a popular platform to sell their chamber while giving the buyer security in knowing that we back our chambers knowledge and dependability they can trust. When you buy a hyperbaric chamber from Atlanta Hyperbaric Center you are not just getting a hyperbaric chamber you are getting gold standard top notch service and expertise that is second to none. LEADERSHIP – FREE One on one time with Dr. Louis Hilliard. He has over 15 years’ clinical experience, 10 years running one of the most successful hyperbaric clinics in the country and has cared for thousands of patients around the world. Dr. Hilliard has cared for Dr. Phil Show patients, celebrities, professional athletes college programs across the country. You will receive customized care plans, online safety training, custom and videos. We have over a 100 positive reviews that shows that Dr. Louis Hilliard and Atlanta Hyperbaric Center stand behind our products with warranty and service. No questions asked. GUIDANCE – Dr. Louis Hilliard is very passionate about hyperbaric and has help thousands of people to get their own hyperbaric chamber. Don’t get confused by all the models and sales gimmicks form sales people that have never even used a hyperbaric chamber. Also call us and we can help you make to right decision for your hyperbaric needs. SAFETY FIRST – Did you know we offer the only on line hyperbaric safety/ training course in the world! You can learn how to use your hyperbaric chamber safely and efficiently. The last thing you would want to do is put you, your loved one or friend in a hyperbaric chamber without knowing how to use it first. All our customers receive discounted training and or coaching. Call us now to learn more about our training program and order your hyperbaric chamber today. GET YOUR MONEY BACK – One great incentive from buying from Atlanta Hyperbaric Center is that when you are done using your hyperbaric chamber, just give us a call. We will sell your hyperbaric chamber for you and you get your money back. Before you buy a hyperbaric chamber call our office 770-948-4511. Dr. Hilliard and Our staff has the experience and knowledge of HBOT and chambers that we can help you determine if HBOT treatment is right for you and also which chamber will be the best for your situation. Saving you now time and money. Some chambers are great for businesses and some are better in home. Call us today with any questions or visit our FAQ page to answer most questions you might have. We put our chambers through a vigorous 21 point inspection to make sure all seals, valves, zippers, windows etc. are functioning properly and have minimal wear. This ensures the chamber you purchase is of the highest quality and will last for years to come. Atlanta Hyperbaric Center is the national leader in used hyperbaric oxygen chambers for sale because of the type of inspections we and that we don’t just sell you any hyperbaric chamber, we only sell the best. Need questions answered immediately Call: 770-948-4511. Need Training? No Problem. Patient safety is number one! Also you need to know and learn how to use your hyperbaric chamber. Take our on-line training course. Read all policies prior to purchasing.